Many states have very broad DUI-drug laws. For example, in 2016, a California man faced DUI charges because he was allegedly under the influence of caffeine. Prosecutors later dropped the case. But nonetheless, in states like California, it is possible to convict people for driving under the influence on a prescription painkiller, NyQuil, or pretty much any other drug. That’s not the situation in Florida, because the DUI-drug law in the Sunshine State is much more limited. However, there are some similarities, especially in the early phases of a case. So, if they believe you are under the influence of any substance, Port St. Lucie officers will probably arrest you. Fortunately, a good Port St. Lucie DUI attorney can often get you out of this jam. Typically, officers must have reasonable suspicion to detain motorists for questioning. The Supreme Court has watered down this standard in recent years, so today, reasonable suspicion is basically an evidence-based guess. The reasonable suspicion for the stop need not be related to the arrest. So, most officers pull over most drivers for traffic violations, such as running a stop sign, making an illegal lane change, speeding, or following another car too closely. None of these items are compelling proof of intoxication. But at this point in the process, any sort of evidence will do. There is no Breathalyzer test for drug impairment. So, officers and prosecutors must generally rely on two types of circumstantial evidence. Horizontal Gaze Nystagmus: Subjects must track moving objects, like ball point pens, using only their eyes. If the pupils move at certain angles, the subject probably has nystagmus. The main problem with the HGN test is that drug impairment is not the leading cause of nystagmus. One-Leg Stand: Subjects must balance on one leg for about fifteen seconds. If the subject sways, cannot follow directions, or cannot finish the test, the subject may be intoxicated. Officers often issue failing grades for minor technicalities, such as lifting the wrong leg. Walk and Turn: Subjects must walk a straight line forward and back heel to toe. Officers evaluate this test the same way they look at the OLS. With regard to the WAT, adverse test conditions often skew the outcome. There must also be circumstantial evidence regarding the substance. In Florida, the drug must be a listed substance in Section 877.111 of the Florida Statutes. 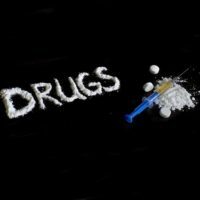 Essentially, the drug must be “any substance [used] for the purpose of inducing a condition of intoxication or which distorts or disturbs the auditory, visual, or mental processes.” That definition rules out a number of substances, such as caffeine and many kinds of painkillers. Most DUI-drug cases settle out of court. That settlement usually includes a lesser sentence or perhaps a reduced charge, such as reckless driving. These settlements reduce the impact that DUI-drug convictions have on an individual, most notably with regard to the collateral consequences of a conviction. If the case goes to trial, prosecutors must establish guilt beyond a reasonable doubt. Since DUI-drug cases rely almost exclusively on circumstantial evidence, the conviction rate is rather low. Prosecutors know this, so they often agree to favorable deals, especially if the evidence is weak. DUI-drug prosecutions have a number of defenses. For a free consultation with an experienced criminal defense attorney in Port St. Lucie, contact Eighmie Law Firm, P.A. We routinely handle matters throughout the Treasure Coast area.